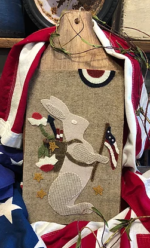 Wool applique kit, includes pattern, designed by 1894 Cottonwood House. 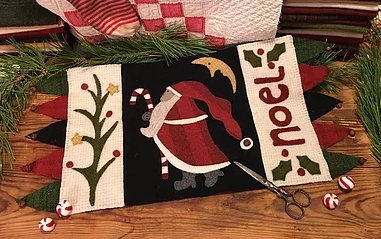 We have created a wool applique kit for one of 1894 Cottonwood House’s best selling patterns, crafted with red, green, black, cream and gold woolens, with our favorite design element…the pirate points at both ends embellished with rusty jingle bells. 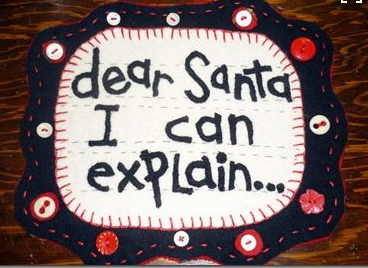 Kit includes all the woolens for this 11″ x 22″ table mat, 11 rusty jingle bells, black homespun for the backing and the pattern. 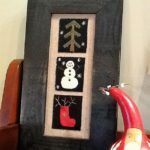 Another fast and fun project for the holidays.